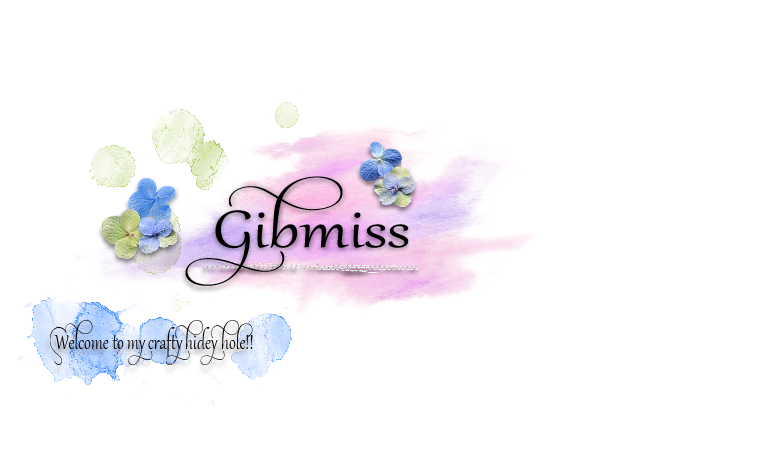 Gibmiss: Less is More 12 "Off Centre"
Beautiful card and that flower is amazing ! Such subtle colours too. Be unsure no longer, this is fabulous. Love the colour of the base card, it goes really well with the image. Very classy. oh wow... this is just beautiful! Love this card, the flower head is gorgeous! thanks for commenting on my card. Great flower and a beautiful card. 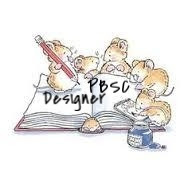 Hi Sylvie, bad blogger here!! 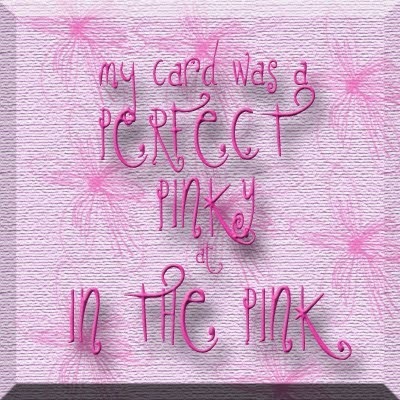 hope you are ok,your card certainly is, tis gorgeous. That flower is stunning - Your LiM card is lovely and I really like the doodled frame. Great card Sylvie, that flower is beautiful! HOW SPECIAL. THE TEXTURE IS GREAT! Lovely card yet again Sylvie! What a super stamp you have used! Beautiful, that flower stamp is gorgeou! But I can't see the sea! Happy Easter! fantastic card sylvie.the flower is stunning and fab cas design. Sylvie, this is so pretty! I have that stamp and I don't think I've ever used it! Thanks for the inspiration! Looks just wonderful - colours and positioning are just right. 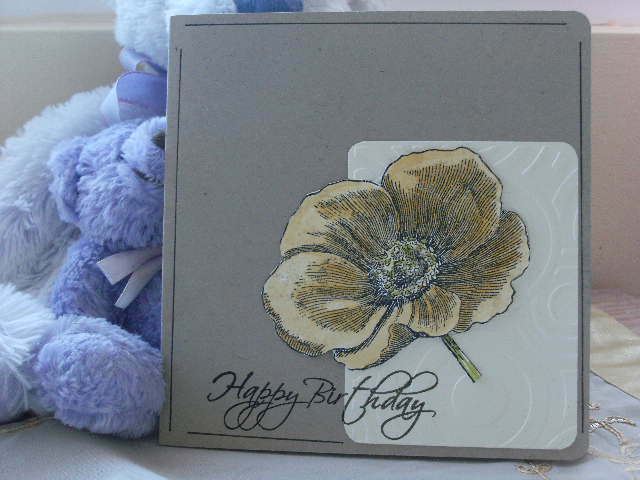 Fabulous card, beautiful flower and lovely colours. Jean. Love your card and the flower stamping is fab! and that flower is super . Thanks for sharing and also thank you for choosing to follow my blog . Hope that you find some inspiration there too. This is so pretty - love that gorgeous flower and the subtle, elegant colour scheme you've chosen.